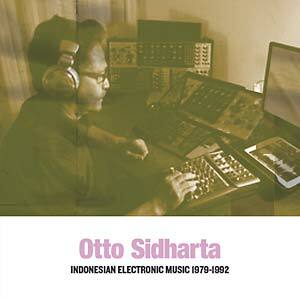 Fascinating and unreleased before music by Otto Sidharta, pioneer of Indonesian electronic music. Electronic compositions that integrated natural sounds and urban sounds to this extent were extremely rare at the time they were recorded, which in turn gives them a unique form of intensity. This collection is released as an entry in Sub Rosa's Early Electronic series. Otto Sidharta was born in Bandung, Indonesia November 6, 1955. In 1978 he studied music composition in Jakarta Institute of Arts under guidance of Slamet Abdul Sjukur. In 1984 he continued his post graduate study in composition and electronic music with Professor Ton de Leeuw in Sweelinck Conservatorium Amsterdam. In 2015 he started his doctoral study at Institute Seni Indonesia Surakarta, finishing in 2016. Sidharta's interest in using environmental sounds and synthetics sounds to express his musical ideas developed when he was a student at the Jakarta Institute of Arts. He performed his first electronic music piece, "Kemelut", based on water sounds in the First Indonesian Young Composer Festival (Pekan Komponis Muda) in 1979. 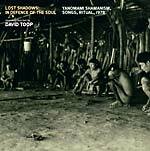 In 1979 he begin to collect some nature and animal sounds on Nias Island, Borneo (Kalimantan) jungle, Riau islands, and other remote places. 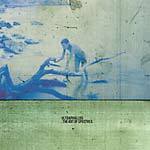 These sounds were used as material for some of his works such as "Ngendau", "Hutan Plastik", and "East Wind". Otto Sidharta is still alive and performing around the world.